Buying an RV is a major purchase decision. We don’t take the decision to buy a house lightly, and buying an RV is no different. You need to do your research and be well informed to make the best buying decision possible. Let’s take a look at my 7 step process to a wise RV buying decision. This is perhaps the most important step of the process. It can be difficult to determine if an RV is right for you if you have never used one. Plan a weekend or week-long trip and rent an RV to try it before you buy. Renting an RV can be a good indicator to gauge if an RV is in your future. Another option is to spend a weekend at a campground that rents RV’s already set up on site. My only caution is that you don’t confuse not liking RV’s with not understanding how an RV works. If the rental dealer doesn’t give you a thorough orientation of the RV, or offer an instructional DVD you should consider purchasing a RV training DVD prior to renting the RV. Knowing how everything on the RV works can make the experience much more enjoyable. RV shows, like boat shows, are intended to introduce the new model year RV’s and to help disseminate RV related information to the RV consumer. RV shows are usually scheduled during the slower time of the year, the winter months, to help jump start the selling season. RV dealers from miles away will bring their wares to these shows. For the buyer RV shows put everything you need to see and learn under one roof, making it the ideal environment to conduct research and make informed RV buying decisions. RV shows aren’t just for RV dealers to showcase their products. They are a great source for information from knowledgeable representatives on every aspect of the RV industry. 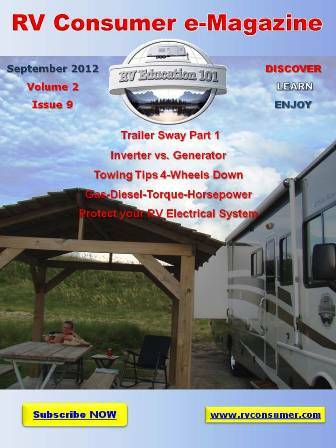 You will find information on campgrounds and RV resorts, aftermarket RV products, RV accessories and free RV seminars. Some of these seminars might be helpful in making your buying decisions. Check with the show office on seminar topics and times. Step 3: Which type of RV is right for you and your family? RV’s come in numerous types, sizes and price ranges. Know which type of RV is right for you and what price fits your budget. Take the time to research your specific needs, and how you plan to use the RV. If you plan to travel cross-country a motorized RV might make more sense than a towable RV. If you plan to go camping in the backwoods, off the beaten trail, a pop up, truck camper or toy hauler would probably make more sense. If you plan to travel and live full time in the RV a 5th wheel trailer would be a wise decision. The right type of RV is out there, you just need to find it. Step 4: New Vs. Used? This is a major consideration before you purchase an RV. To assist you with this decision think again about how you plan to use the RV and what your budget is. If you only plan to take a couple of weekend trips, or use it for one or two weeks out of the year, a used RV might be best for you. If you plan to travel and live fulltime in the RV you should probably consider a new RV. In either case, consider your financial situation; it won’t do you any good to own an RV if there isn’t enough money leftover in the budget to enjoy it. Buying an RV is a major investment, similar to an automobile or your home. You need to do your research before you buy. There are lots of RV manufacturers and RV brands to choose from. You can research manufacturers on the internet, request brochures, take factory tours and attend local RV shows to learn more about all of the options you have. Consider how the RV is constructed, how long the manufacturer has been around and how long the warranty period is good for before you buy. A reputable RV dealership will have a professional sales, parts and service staff to take care of all of your needs. This is an important consideration during and after the purchase of your RV. It’s important that you select the right type, floor plan and brand of RV for you and your family, and that there are qualified technicians to service the unit after the sale. A reputable RV dealership can make your RV ownership experiences much more pleasurable. When you purchase your RV consider some other factors that will help protect your investment. I recommend looking into some type of extended service contract that goes beyond the manufacturer warranty period. There are numerous plans available, so shop around for the best deal. Get specialized RV insurance coverage. It’s different from your home and auto policy. When you need specialized RV coverage you’ll be glad you have it. So what are you waiting for? Find out when the next RV show will be in your area and make it a point to attend. Oh, and don’t forget to wear some comfortable walking shoes! After you purchase your RV load your belongings, the family and pets and head out to explore this wonderful country we live in, and build some lasting memories with family and friends. Welcome to the wonderful world of RVs! 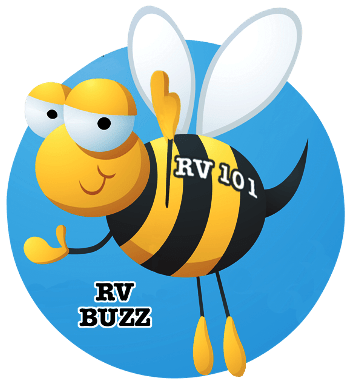 « RV 101® – Should I Upgrade the Brake Pads on my Tow Vehicle?